While Memorial Day traces its roots to the tradition of Decoration Day, a time when women were known to adorn the graves of Civil War soldiers, some are calling for the national holiday to recognize the growing number of women who lost their lives in combat. Women have long provided supporting roles in our country through times of war but stories of their sacrifices are often relegated to roles as mothers, daughters and lovers of those who died in battle. According to Army Times, 7,000 women served in Vietnam; 16 were killed, most classified as nurses. In the first Persian Gulf War, 33,000 women were deployed; six perished due to scud missile explosions or accidents. Things have changed as the right for women to serve in all aspects of combat has been heavily debated over the years. Central to this debate are the concepts of equality and sacrifice that led to a limited right to serve in combat in 1994. 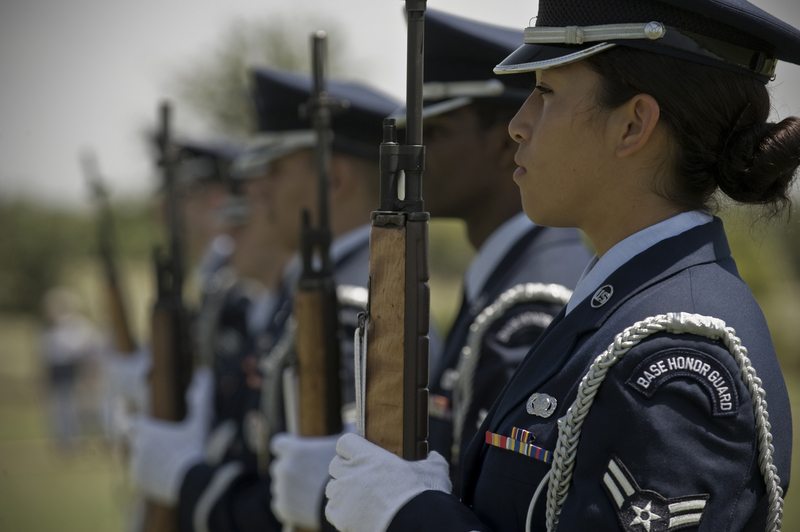 In 2015 it was former Defense Secretary Ashton B. Carter who demand that the Pentagon open all combat jobs to women with an announcement that changed significant exceptions to how women could serve and opened 220,000 military jobs. This policy overturned a longstanding rule that had restricted women from combat titles, even though they often found themselves entrenched in battle. “There will be no exceptions,” Carter said at a news conference covered by the Associated Press in 2015. He added, “They’ll be allowed to drive tanks, fire mortars and lead infantry soldiers into combat. They’ll be able to serve as Army Rangers and Green Berets, Navy SEALs, Marine Corps infantry, Air Force parajumpers and everything else previously open only to men.” Women have long faced restrictions, which allowed them to serve in combat zones, often under fire, but prevented them from officially holding certain positions which remain crucial to career advancement. The tragedy of explosive combat claiming the lives of men and women transporting equipment (a role once considered as more administrative) finally brought about an admission that the military was not fully recognizing all aspects of combat and sacrifice. In the past few conflicts, the battle for equality has included the unprecedented loss of women in the war against terrorism. Since the attack on September 11, 2001, a total of 147 women deployed to Afghanistan, Iraq and Kuwait have lost their lives in service to our nation. This number may seem small but Arlington has begun collecting memorial stories that demonstrate powerful female heroism dating back to revolutionary war nurses. Even members of the media are unaware of how servicewomen have participated in battles. The call for that recognition to change grew stronger as the War on Terrorism delivered news stories about their deaths in hometown newspapers and television segments across the nation of lost mothers, sisters, daughters, partners and friends. Norma Schrader, a 20-year retired veteran and president of the Triangle Women Veterans, admits disappointment with the “passive” way women’s contributions are recognized in Memorial Day services. Schrader joined the US Navy in 1944. After boot camp at Hunter College in New York she was stationed in Charleston, South Carolina. She was in charge of two barracks and a mess hall. Schrader separated from service in 1946 then was recalled to active duty in May 1951 during the Korean War. Schrader’s sisters in arms and the affiliated Unit of Military Women Across the Nation are working together to acknowledge issues facing female soldiers and veterans, from childcare, to access to healthcare and the increasing number of suicides (for women and young veterans in the past decade). The retired Senior Chief Yeoman feels strongly that solutions will be best when more women are represented in leadership. “Our male counterparts seem to think they know all about everything and, of course, we know they don’t. Especially true when it comes to anything about the needs and abilities of women. The only way that is going to change, as it must, is for women of all ages, nationalities, political persuasions, et cetera, to step up to the plate at ALL LEVELS and make themselves heard.” For Schrader and female-led military groups across the country, these pressing issues require they not pull any punches. Stories of women who lost their lives in combat might be smaller in number, but they will not be forgotten— especially by women like Schrader who encourages female veterans across the nation to speak up. For more information about the Triangle Women Veterans, check out trianglewomenveterans.org or its national organization at milwomen.org.